Giving parents a choice, giving children a chance. 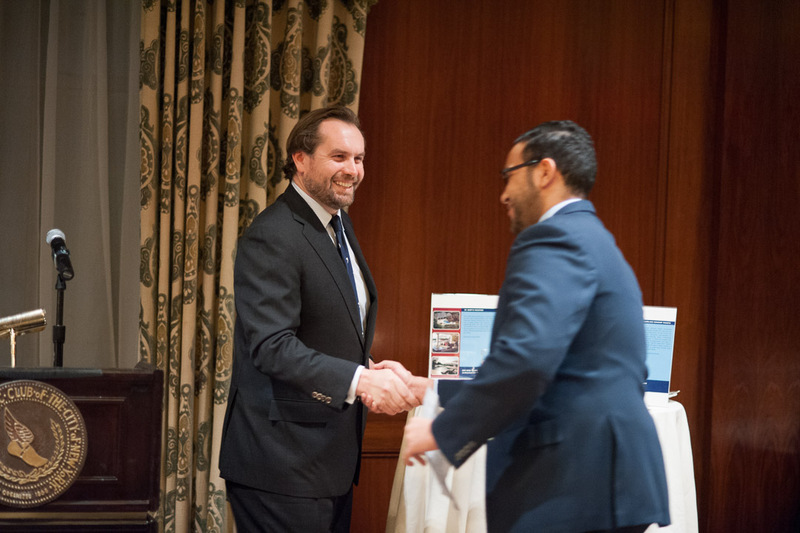 On a chilly night a few days before the Super Bowl, Children’s Scholarship Fund (CSF) gathered supporters and friends at the New York Athletic Club for our first Champions for Children reception. 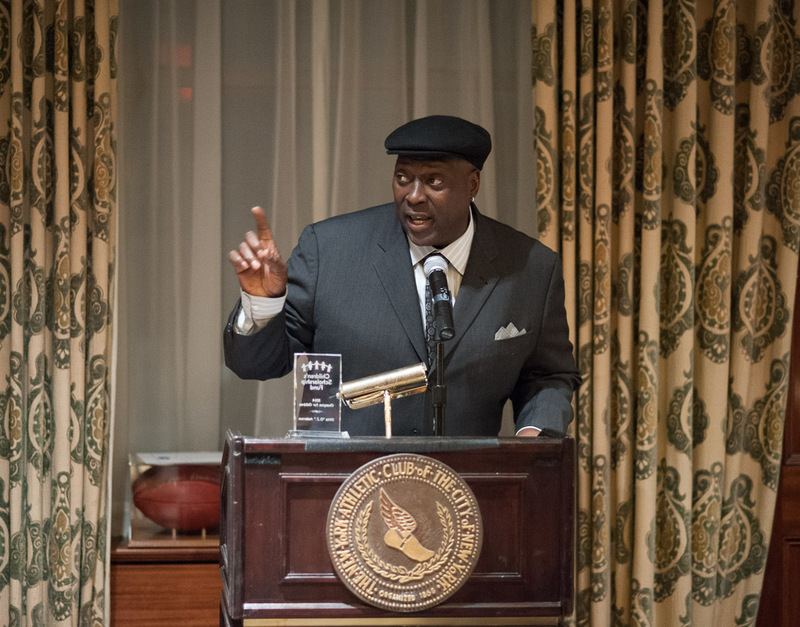 New York sports legends Ottis “O.J.” Anderson (Super Bowl MVP & former New York Giant) and Earl “The Pearl” Monroe (NBA Hall of Famer and former New York Knick) were honored with CSF’s Champions for Children awards along with A.B. Whitfield, former Dallas Cowboy and co-founder of the Trey Whitfield School in Brooklyn. Guests heard board member Remy Trafelet talk about why he supports CSF, and former CSF Scholar Jason Tejada introduced our honorees. Jason, who graduated from Columbia University last May and now works at JPMorgan Chase, is a living example of the opportunities CSF scholarships can make possible. CSF Board Member Remy Trafelet and former CSF Scholar Jason Tejada. In their remarks, our honorees made it clear that beyond their athletic successes, they are committed to making life easier for those less fortunate, particularly for children who need access to a good education. Former New York Giant & Super Bowl MVP Ottis “O.J.” Anderson. NBA Hall of Famer and former New York Knick Earl “The Pearl” Monroe. A.B. 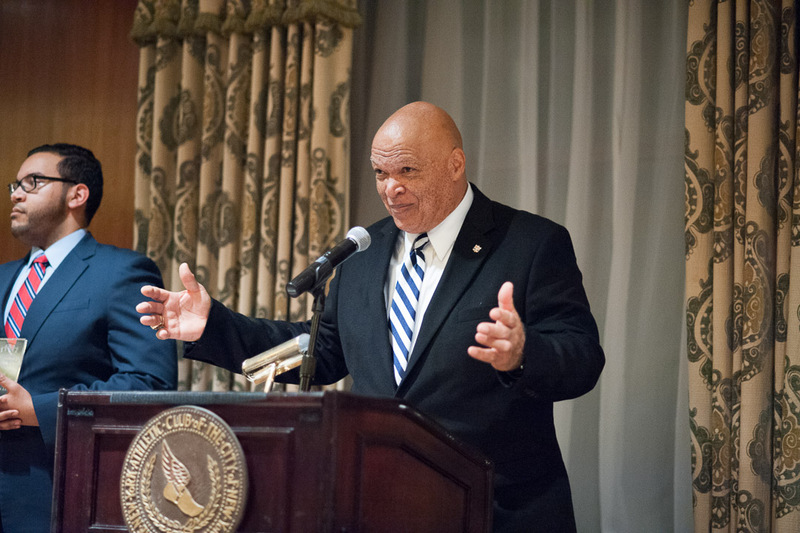 Whitfield, former Dallas Cowboy and co-founder of the Trey Whitfield School in Brooklyn. 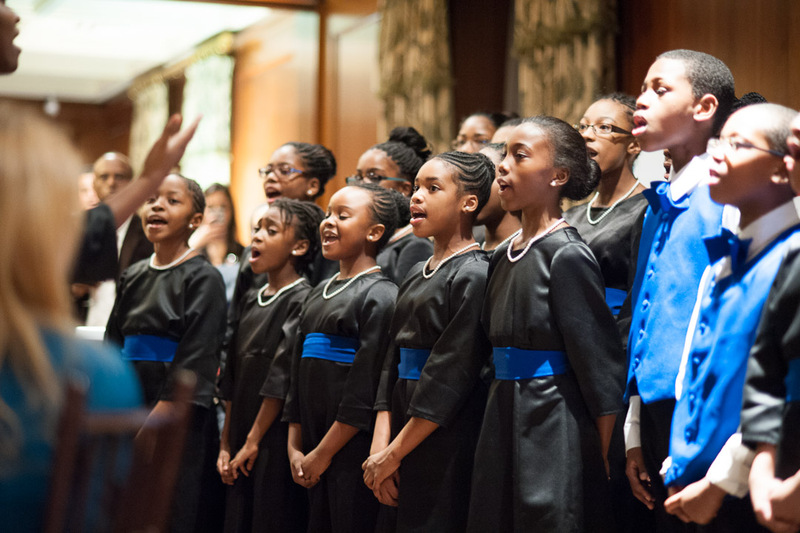 We were especially pleased to host the choir from Trey Whitfield School, where several CSF Scholars attend. What a treat it was to hear them singing “Just the Way You Are” in what turned out to be a preview of Bruno Mars’ half-time performance at the Super Bowl! Voices of Trey, the Trey Whitfield School choir, performed several songs. Thank you to our honorees, to the Trey Whitfield choir, to all those who donated items for our live and silent auctions, to Eagel Sports Promotions, Inc., and to everyone who showed their support for the event. 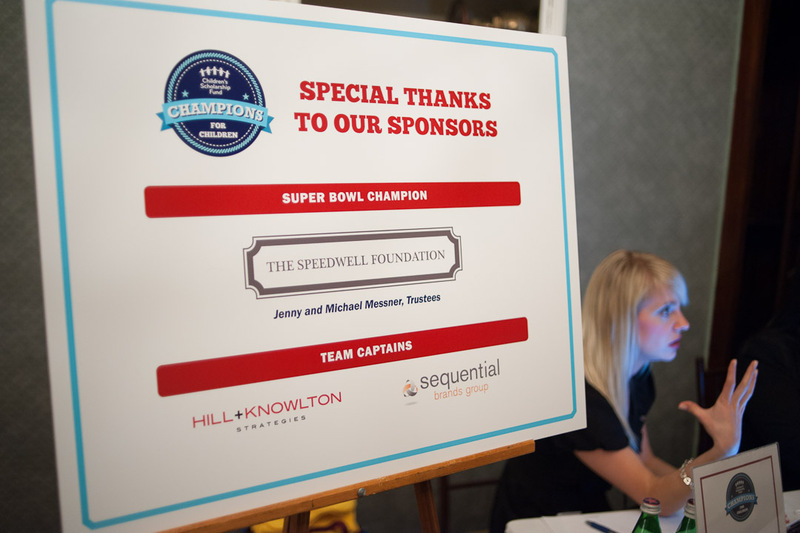 A special thank you goes out to our event sponsors: The Speedwell Foundation; Hill+Knowlton Strategies, and Sequential Brands Group. 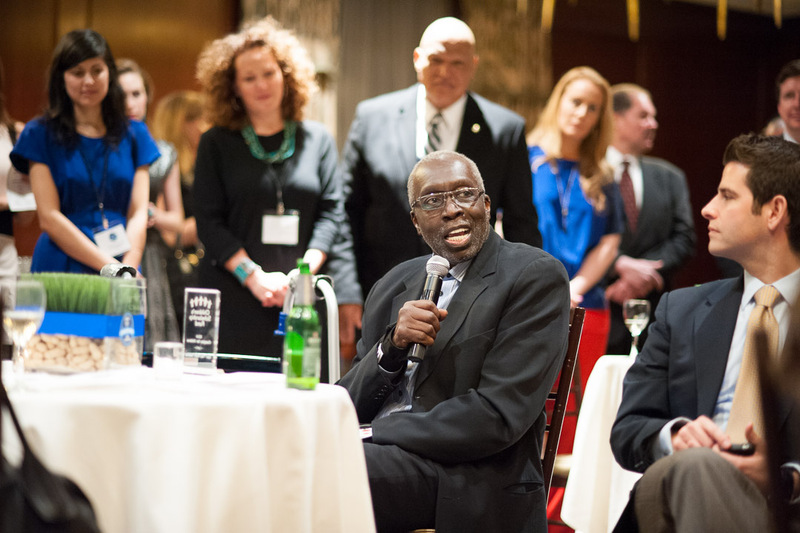 For more photos from the event, please visit CSF’s Facebook page.